Neuroimmunology is the field of medicine that deals with diseases of the brain, spine and nerves triggered by in the immune system. MS is a well-known disease that is caused by inflammation in parts of the brain and spine. MS is treated by changing the way the immune system works through treatment. In most diseases the immune system is overactive. Management and treatments general reduce and change the intensity of the immune reactions. Specialized, focused treatment is usually required because physical, emotional and cognitive symptoms are typical in this disorders . 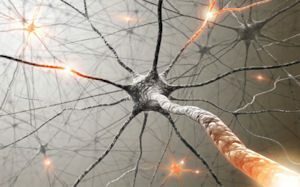 The team at Neurology Network Melbourne include some of the most experienced and well respected specialists in the field of Neuroimmunology. Treatment of these conditions benefit from a high level of experience in the field, cooperation with multidisciplinary teams and often access to inpatient or day-patient therapies. Our team of specialists manage patients across a number of private and public hospitals.